Deep heating infrared shoulder wrap provides relief from chronic problems like arthritis. Available in a plug-in or battery powered models. Brushed fleece. Contoured for a great fit and to keep the heat where you need it most. 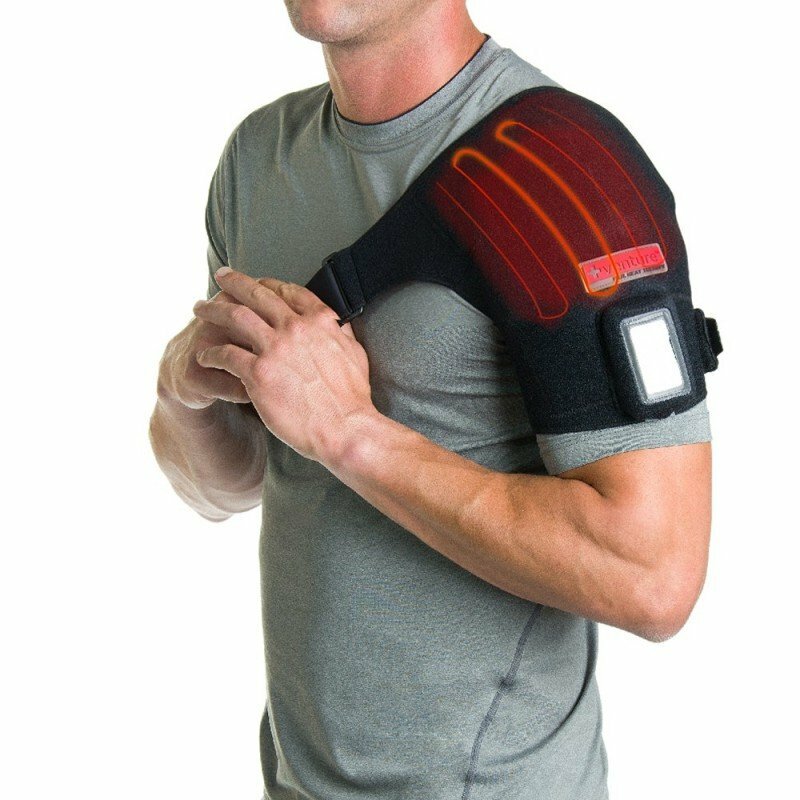 The Infrared Shoulder Wrap uses infrared heat therapy to provide a deep penetrating heat for difficult shoulder problems like complicated rotator cuff tears, joint capsule tears or adhesive capsulitis and tears of the labrum. 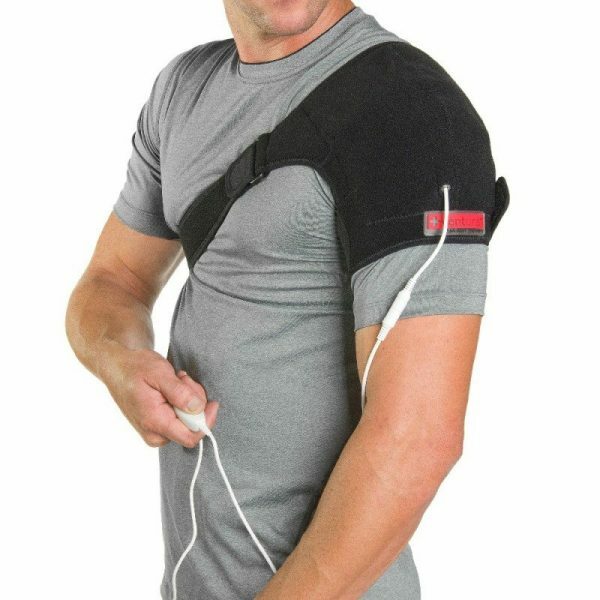 The infrared shoulder wrap is available in either battery or electrical cord power and wraps around the shoulder for a therapeutic heat treatment that is different in nature than standard hot packs or therapy wraps. If you have never tried infrared heat therapy, please follow the link to learn a little more. It is not typical to the feeling of a hot pack. There is an instant sensation of warmth and the treatment area is targeted. The effective therapy area is not the entire shoulder wrap, but a portion of it, which directs the deep penetrating heat specifically. 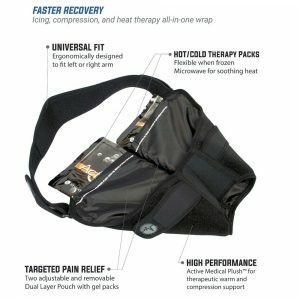 This will not feel as hot as a hot pack, but, In my opinion, gives a better therapeutic effect, which can be noted after treatment and even the following day. 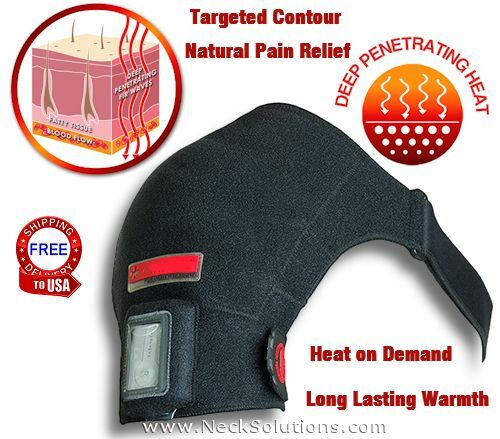 It provides a natural pain relieving treatment as the infrared rays penetrate deeply into the tissues. Great for conditions like adhesive capsulitis, frozen shoulder, joint arthritis and rotator cuff problems. The plug in model is a little less expensive and for home treatment, while the battery powered models offers freedom of motion during therapy. Shoulder problems are seen frequently with athletes, elderly persons with arthritis and those in car accidents. To aid in relief of pain, the wrap offers deeply penetrating infrared heat therapy directly to the source of shoulder pain. 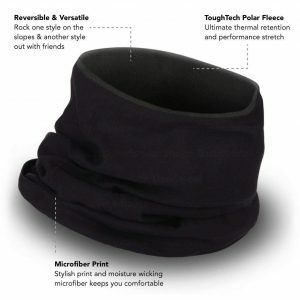 The wrap is form fitting and great for warming up muscles and loosening joints before your favorite sports activity as well as providing a unique, safe and effective treatment for shoulder problems. Measure around your chest. The regular size is for measurements of 32 to 40 inches. The Large or Max size wrap is for measurements of 40 to 52 inches. If you are between sizes, choose the smaller. It needs to fit snug, so when you measure, use a tape measure and pull it tight, so it is snug when you measure. If the size is too large, you will not get a good contact for treatment. The wrap does stretch, so make sure you get a good, snug measurement. An example, measuring my chest, I get 41 inches, but when I pull the tape measure tight, I get 38 inches, so instead of the large size, I use the regular as the initial measurement would have produced a wrap that would have been too large. 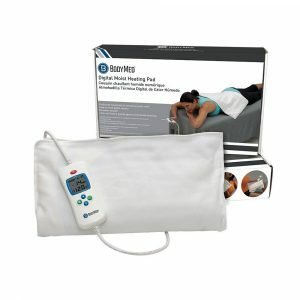 While standard forms of heat therapy rely on heating the skin surface, this wrap uses far infrared waves to penetrate as far as 3 inches below the surface of the skin to effect muscles, tendons, ligaments, joints and bones, with an efficient form of heat allowing use at a lower temperature and without higher voltage electromagnetic fields. The Shoulder Wrap is the most efficient method of heat therapy for increasing blood circulation and oxygen, relaxing muscle spasms, easing stiff joints and it helps to heal at the cellular level. As soon as you press the power button, the soothing heat starts, relaxing and easing pain without waiting for a warm up period, no microwave problems with over or under heating and running back to the microwave to reheat. No messy water to deal with. No packs to insert or worry about. 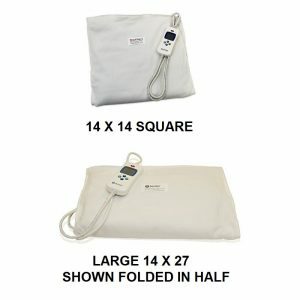 You get a mild compression with an anatomical fit that wraps the shoulder and delivers this special form of heat therapy deep into the area of pain. The portable model utilizes a lithium ion battery, providing 2 to 5 hours of heat therapy on a single charge. 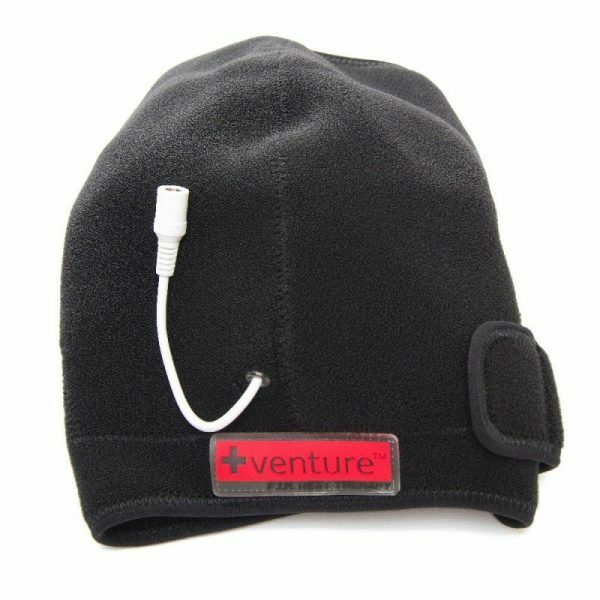 The battery fits snugly into the wrap and has an easy to use 4 level heat setting control with a simple push of a button. This allows freedom of motion while getting therapy and use just about anywhere, any time. The battery sits inside the wrap in a specially designed pocket and uses a clear battery window with a quick connector. You can always get an extra battery, so you will have a backup source of power whenever you need it. Great for traveling. 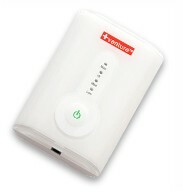 The portable model comes with the wrap, battery with built in temperature controller and the home battery charger. The plug in model provides 4 settings of infrared heat therapy with the same easy to use control and treatment that can go all day. While I like the idea of the battery, and it certainly has its advantages, I am currently using the plug in model at the computer and the cord gives me about 6 and 1/2 feet of use. It makes use of a low voltage plug that is built into the Shoulder Wrap, which easily connects to an outlet in your home or at the office. You do not have to worry about battery charge settings, so the plug in gives you freedom, should you need extended therapy. Need to get up for a quick trip to the printer, just turn it off with a push of a button, unplug from the plug adapter and you can leave the wrap on, come back, plug it into the wrap and turn it on. Really easy! I personally use this model and really like it. The effects are long lasting and it has been the most effective form of heat therapy for my shoulder condition, which involves instability and I need the heat to penetrate deep into the joint capsule. The infrared shoulder wrap times off at 30 minutes, the recommended treatment period for infrared heat, however, I reset with a simple press of the control button, set to max and go another 30 minutes, maybe adjust it to a slightly different position. I can do this for a couple of hours and really like this type of heat. It is very different from the other forms of heat as it uses active non-visible or non-luminous light waves to produce a radiant heat. 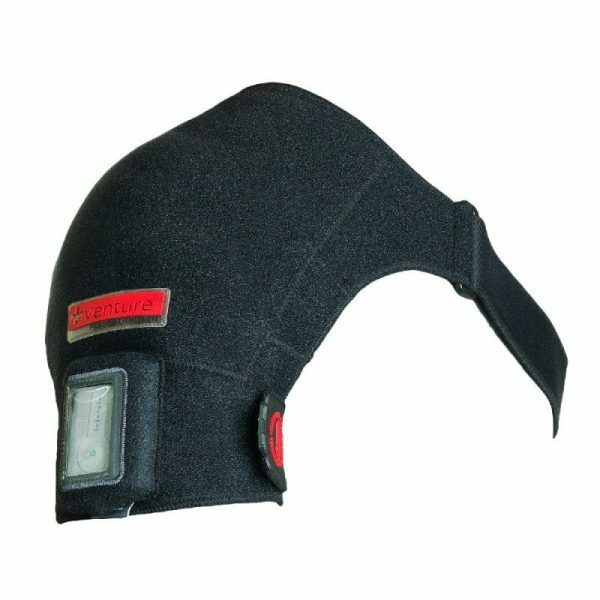 It is lightweight and made very well with neoprene lined with fleece. It is comfortable, easy to use and effective. Chronic shoulder problems are really annoying. I don’t want surgery and need a good method to help. 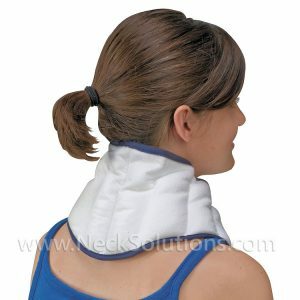 The shoulder wrap is simply fantastic for my needs. I try to keep up with the shoulder exercises and stretches, which are very important. 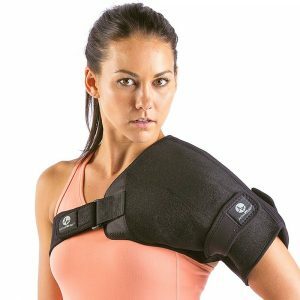 This and the combination of the shoulder wrap really helps keep my shoulder problem from getting worse and allows it to be manageable for my daily activities. I know someday I will have to face the music with this. I keep putting off an MRI as I almost really don’t want to know. But, with the exercises and steady use of the infrared shoulder wrap, I am confident in my ability to maintain a reasonable level of function with minimal levels of pain. Now, I am not saying you should do this. If you have a shoulder problem, get it diagnosed and get whatever treatment you need. They say doctors make the worse patients and, in my case, it is true. I can just recommend the wrap from both a professional and personal perspective as a great form of targeted deep penetrating heat therapy. Some products are just really impressive and, for me, this is one of them. It is great for chronic arthritis, but won’t prevent surgery if you really need it. 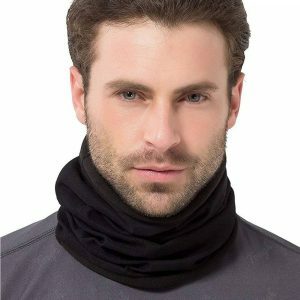 The wrap can be used on either shoulder. It comes set up for the right, but is very easy to unfasten the velcro on the long strap and fasten it to the other side to us on the left shoulder. 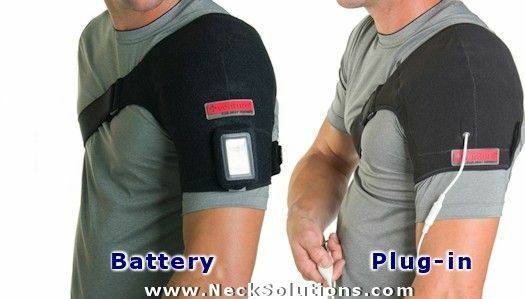 Place the wrap on the shoulder so the battery window or the plug-in wire is facing outside the shoulder. Pull the long strap around the back and under the opposite arm, then up across the chest and fasten it to the buckle on the wrap. It is velcro and very easy to fasten and unfasten as well as adjust quickly. So, fasten the long strap snugly, then bring the short strap around the back of the arm to fasten near the top of the shoulder. Adjust to fit snug and you are ready to go. It is easy to do without any help. The power settings are low, medium, high and max. You are recommended to use it over clothes, but I like it directly on the skin and at max setting. Use as instructed or prescribed. Both the battery and plug in settings are automatically timed for 30 minutes. With the battery, using the settings does affect how long the battery will last – about 5 hours on low and about 2 hours on high. Press and hold the power button until it lights up and then you can just click the power button to move to a different level. Auto shut off at 30 minutes or hold down the power button and it shuts it off. For travelling, on vacation, to or from the office, you can charge the battery in your car. A great method to have it ready wherever you need it or for a quick boosting charge on the go. This will function as a charger for the battery powered version using the lithium ion battery. 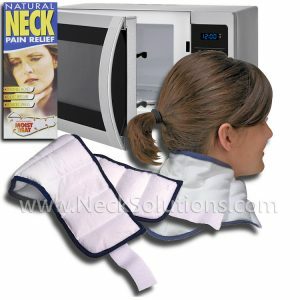 Please note: the infrared shoulder wrap cannot be used while being charged. The battery has a built in timer and the lithium ion battery is a reliable source of power, however, it does not last forever. Again, about 2 to 5 hours depending on heat setting. If your like me, max heat setting will use the most power, so you have maybe 4 thirty minute sessions with one charge. Don’t get caught off guard, it is easy to have a fully charged spare battery around. Great for alternating to charge one while using the other. The battery will last for about 500 charges!